We work with the mission of providing a courteous, punctual, and reliable party bus service in Toronto that everyone can enjoy without putting burden on pocket. We recruit and hire drivers as in-house chauffeurs and make sure they are certified, licensed, and hold sufficient experience in driving luxury cars with perfection. We hold pride in making use of cutting edge technology to provide enhanced safety and security to the passengers. Started as a small business 16 years back, Cheap Limo Service in party bus rentals has evolved into a full blown provider of transcendent transportation in Toronto. Boasting an enriched fleet comprised of latest model party buses, we provide timely, dexterous, and well-grounded service nationwide. 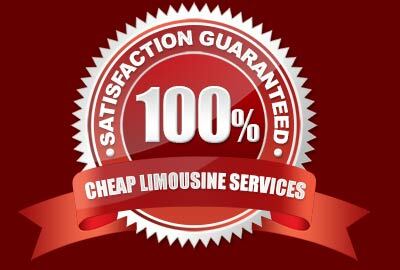 We believe in gratifying customers to the fullest and thus provide a binding money back guarantee in case of delays. Whether you need to travel to a wedding in vogue, desire to roam around the city with friends, or wish to transport your guests to party in a regal way, we have a wide selection of luxury party buses to choose from. We aim for excellence, endeavor for improvement, and adapt dynamically to the change in needs and preferences of the client population. We put these values into practice to render a phenomenal transportation service that stands out preeminently from the rest of the crowd. As safety and security of the passengers is our foremost priority, we have incorporated advanced GPS and navigation technology coupled with cutting edge communication systems in all our party buses allowing for slick communication between clients and crew in Toronto. We hire drivers after rigorous screening in an attempt to provide a safe and serene ride to customers. Our fleet is maintained scrupulously, all thanks to our skilled technicians and certified auto mechanics that inspect our party buses regularly utilizing latest technology tools and techniques. Sheer perseverance to consummate quality and devotion to exemplary customer service has contributed in making us the number one provider of premium party buses rentals in Toronto. Book our grand Party Bus in Toronto and let us handle all your matters in a timely managed, professional and amicable manner. For further inquiries and details, clients can contact our customer service department anytime.